This is Kianoosh Assa, gunned down in Azadi Sq. on Monday 15th June. 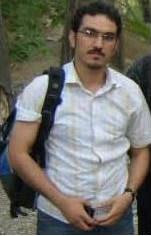 He was a chemical engineering undergraduate at Tehran Science and Technology university. Despite all intimidations, his student colleagues held an impressive memorial for him. They even brought down Ahamdinejad's picture and replaced it with Kianoosh's picture. Kianoosh was from Kermanshah. His family were not told about his death until they came across his body while searching Tehran's morgues after they had not heard form Kianoosh for days. The enemies of knowledge are extinguishing our brightest stars but they can not see that these dark nights are full of bright stars. Has there been riots in Iran in other places outside of Teheran? I wonder now that Iran's government talk about Neda's death and how suspicious it is, what about the rest who died during this uprising??? Is there anyone out there to ask Ahmadinejad thid question??? و به میل و سلیقه مجتبی خامنه ای و مصباح در آوردن ایران!!!! Well to me it seemed like the riots are only in a couple of cities and not widspread. These protests aren't well organized, not like what I've heared of the 1979 revolution, so I can't help but doubt thier success. I do believe though that this is a step, a start of something. Things might not change now but in 20-50 years things will be different and we'll have these protests to thank. I can feel it in my bones, so mark my words.